What is Toxin Rid Detox? Where to Buy Toxin Rid? 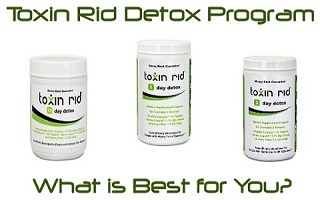 How to Choose a Toxin Rid Detox? Toxin Rid Detox Money Guarantee Policy. One of the most frequent questions I receive almost daily from our readers is which Toxin Rid detox to choose for their particular situation. So, I decided to write a detailed Toxin Rid Detox program review. This well proven whole body detox program has shown consistent positive results in helping users pass their drug test. However, by choosing the wrong detox program, you might end up failing your drug test. 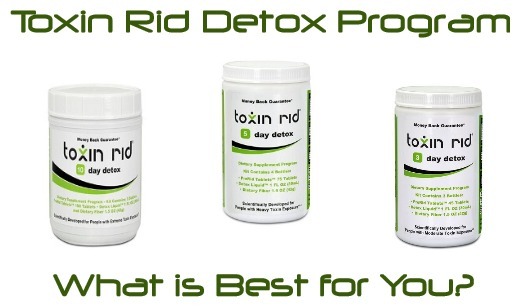 In this article, I explain in detail how to choose the right Toxin Rid detox program for you. I also explain what factors you should consider when making your choice in order to improve the odds of passing your drug test. First, I will provide some essential information about Toxin Rid Detox program, without overwhelming you with scientific facts. 1. Toxin Rid Detox is a whole body detox program specially formulated to cleanse your blood, urine and saliva from unwanted toxins including, but not limited to, amphetamines, barbiturates, benzodiazepines, cocaine, methadones, meperidine, opiates, phencyclidine, PCP, oxicodone, propoxyphen, cannabinoids (marijuana), tramadol and alcohol. 2. There are 1, 2, 3, 4, 5, 7 and 10 day Toxin Rid Detox programs available. 1. Toxin Rid brand is owned by TestClear and can only be purchased from their official online store. They ship their products worldwide. 2. TestClear is a well-established company with an excellent reputation selling many different detox products since 1995. Their products include Toxin Rid whole body detox program, Aloe Toxin Rid shampoo (old style), detox drinks like Mega Clean and drug testing kits. 3. TestClear.com provides a helpful and professional customer service via Live Chat and Phone. So far, we have received no complaints about their customer service. 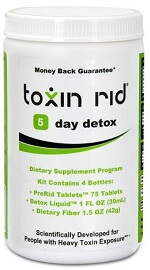 Each Toxin Rid detox program consists of three components: pre-rid tablets, liquid detox and dietary fiber. 15 tablets for each day, 1 fluid ounce of detox liquid and 1 ounce of dietary fiber. You need to take 15 tablets for each day of the detox program. For example: if you are completing a 1 day detox program – you will need to take 15 tables that day; for a 3 day detox program – 45 tablets; and for a 10 day detox program -150 tablets. On the last day of each program, you will need to take the Detox liquid and the Dietary fiber on your drug test day. Please check the more detailed program instructions for each Toxin Rid detox programs discussed below. Alfalfa, Pacific Kelp, Calcium Carbonate, Bromide, Carbonate, Boron, Fluoride, Rubidium, Samarium, Phosphorus, Nickel, Manganese, Chromium, Strontium, Cobalt, Zinc, Tin, Titanium, Lanthanum, Cerium, Barium, Copper, Iron, Silicon, Yttrium, Molybdenum, Gallium, Gold, Silver, etc, and dietary fiber. 1. Time remaining until your urine drug test. 2. Exposure to THC – how much and how many days a week you consume marijuana. 3.Type and grade of marijuana you consume – herbs, wax, oils, capsules, edibles, drinks, and/or suppositories. 4. Ways you consume marijuana – smoking, vaping, dabbing, eating, drinking. 5. Your Bio – weight, height, type of metabolism, percentage of body fat, etc. 6. Your Life style – everyday exercise routine, diet, water consumption, etc..
1.The more often you use marijuana and more you weight, the more days of Toxin Rid detox program you should choose. 2.If you don’t exercise regularly, carry extra weight and don’t follow a good diet, the longer the Toxin Rid program you should consider. 3.If you vape wax, oils or use high grade herbs, you need more days of the program to detox properly. 4.The slower the body metabolism you have, the longer detox program you need to choose. It is always better to compete extra days of detox program in order to be on the safe side. These “rules” should help you figure out what detox program suits you the best. If you are still confused in evaluating your exposure, Bio and other factors, you can always leave your questions in the comments section below. I will come back to you with my recommendations as soon as possible. There are 10, 7 ,5, 3, 2 and 1 day Toxin Rid Detox programs available at the moment. I will discuss below the most popular and effective ones. Toxin Rid 10 Day Detox program was created for marijuana users who consume marijuana several times a week or every day over a prolonged period of time. The prolonged period of time can be from a month to several years. This THC exposure is considered as ‘heavy’ to ‘extremely heavy’. So, if you smoke, vape or eat edibles several times a week, and have at least 10 days before your urine drug test, then Toxin Rid 10 Day Detox could significantly speed up your body detoxification process. I have seen many users who smoke only one small joint every night mistakenly put themselves into the ‘light’ user category. Instead, they should be in the ‘heavy’ user category as the THC accumulates in their bodies’ fat cells over a prolong period of time resulting in the high THC level. Toxin Rid 10 Day Detox consists of three components: 150 pre-rid tablets, 1 ounce of dietary fiber, and 1 fluid ounce of detox liquid. It takes 10 days to complete the program. Toxin Rid 5 Day Detox program was created for marijuana users who have consumed marijuana every day or several times a week within the past 30 days. This kind of THC exposure is considered as ‘heavy’. So, if you smoke, vape or eat edibles several times a week or every day and have at least 5 days until your urine drug test, Toxin Rid 5 Day Detox could significantly speed up your body detoxification process. We have seen that this program has been effective for ‘heavy’ users with a fast body metabolism, who don’t carry extra weight, exercise regularly and follow a healthy diet. Toxin Rid 5 Day Detox consists of three components: 75 pre-rid tablets, 1 ounce of dietary fiber, and 1 fluid ounce of detox liquid. It takes 5 days to complete the program. 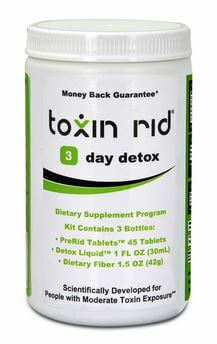 Toxin Rid 3 Day Detox program was created for marijuana users who consume marijuana occasionally during a 30 day period. This kind of THC exposures is considered ‘moderate’. So, if you smoke, vape or eat edibles 1 or 2 times a week over a 30 day period, and have at least 3-4 days before your urine drug test, Toxin Rid 3 Day Detox can significantly speed up your body detoxification process. I have observed that this program has been quite effective for ‘occasional’ marijuana users as it helps to speed up the THC elimination process. Toxin Rid 10 Day Detox consists of three components: 45 pre-rid tablets, 1 ounce of dietary fiber, and 1 fluid ounce of detox liquid. It takes 3 days to complete the program. Toxin Rid 1 Day Detox program was created for marijuana users who consume marijuana in one form or another only once a weak or for the first times within 30 days. This kind of THC exposure is considered as ‘light’. 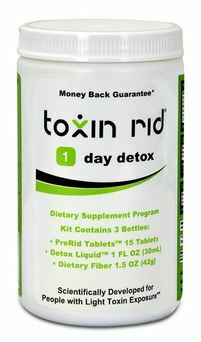 Toxin Rid 1 Day Detox consists of three components: 15 pre-rid tablets, 1 ounce of dietary fiber, and 1 fluid ounce of detox liquid. It takes 1 day to complete the program. If you prefer a detox program over a detox drink, Toxin Rid 1 Day can be an effective approach to drop your THC levels before your drug test. Another less expensive approach is using a detox drink like Mega or XXTRA Clean on your drug test day. On the other hand, if you have enough time until your drug test and haven’t used marijuana for the past 4 or 5 day ago, you have a chance of detoxing naturally without using any detox products. However, this approach does not work for ‘moderate’ and ‘heavy’ users as it takes from 10 to 90 days to detox naturally from the time of the drug’s last use. 1. It is imperative you complete all 3 parts of the program while following the product’s instructions to the letter. The only exception might be skipping the Dietary fiber part of the program if your drug test is several days away. 2. Dietary fiber is mainly designed for people that happen to end the program when they need to be the cleanest. It supplements certain things that are taken out during the detox program, but will gradually be replenished over time. If your drug test is many days away, then you most likely will not need to use the fiber. However, it doesn’t hurt to take it on the day that you need to be the cleanest. If you have it, you might as well take it. 4. If you have enough time until your urine drug test, it is highly advisable to complete the full body detox program. 5. After completing Toxin Rid detox program I always recommend checking how clean you actually are by taking a home urine drug test. The Sellers of Toxin Rid program TestClear provide a complementary home urine drug test with each Toxin Rid detox program. If you want to make sure that your results are consistent, I would recommend getting and taking several home urine tests. If you want extra packs, you can purchase them at many online stores like amazon or at your local Walgreens or CVS drug stores. 1. You should stay away from using any prohibited substances, including marijuana, until after your drug test. The sooner you quit using marijuana or other prohibited substances, the higher are the chances that you will pass your test. 2. If you would like to speed up the natural THC detoxification process, you should combine a Toxin Rid Detox program with a light/moderate aerobic exercise program, following a healthy diet and spending some time in a sauna. 3. You should avoid any type of anaerobic exercise such as running, swimming sprints, and/or weight training. 4. Make sure not to overdo the aerobic exercise or do anaerobic exercises, as this might interfere with the detoxing process. You might experience side effects like fatigue, lightheadedness, and nausea. 5. You should avoid exercising for at least 24 hours before your drug test. This insures that you do not release any residual THC into your system that could be concentrated enough to put you over the cut off level. 6. Your menu should consist of green vegetables, fiber, fruits, low fat chicken and/or turkey. It is essential avoiding consuming sugar and fast foods. 7. You should avoid adding extra toxins such as alcohol and nicotine into your body during the body detoxification process. 8. If you are an extreme user consuming high grade marijuana several times a day, every day, you might need to complete several additional days of the detoxing program. We have seen that some extreme users needed to complete 15-20 days of detox program in order to be clean enough to pass their test. 9. If you become very close to being clean but run out of time on your drug test day, you might want to consider using a detox drink like Mega Clean or XXTRA. They might help drop your THC levels below the cutoff level. Make sure to confirm your actual THC level with a home urine drug test one hour after taking the detox drink. So, in summary, if you are not satisfied with the performance of the purchased product, you must contact the manufacturer directly to redeem your rebate. 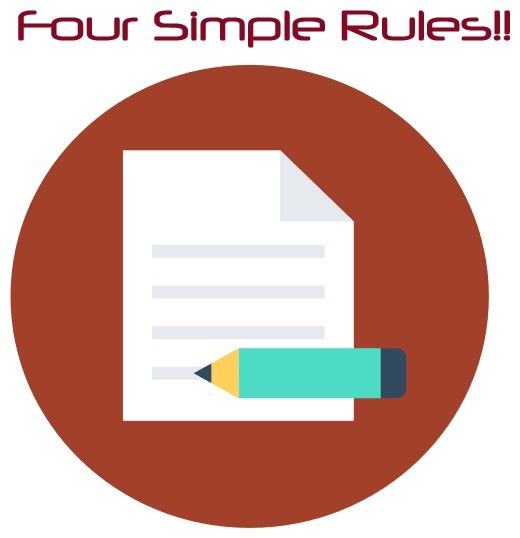 You will have to present a receipt, UPC proof of purchase, and proof of the actual drug test results (not home drug test results). The product’s Seller “Testclear” will provide you the manufacturer’s contact information and a copy of your receipt if necessary. 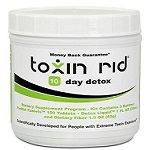 You can find many Toxin Rid Detox reviews online on popular blogs and forums. Some claim that Toxin Rid always helps with passing the drug test. Others state that this program is only effective because of a dilution approach. We cannot agree completely with either of these statements. Based on our 4 years of experience in reviewing detox products, helping users with our recommendations, and receiving hundreds comments and feedback, we can unequivocally state the Toxin Rid Detox program is an effective detox program. However, Toxin Rid Detox program is not a “silver bullet” that guarantees you a 100% success rate in passing the drug test. No existing detox product on the market can guarantee you a 100% success rate in passing a urine drug test. If they do, then it’s a false claim they are making. During our years of experience, we have seen many successful stories, and a few negative ones, when users choose either the wrong detox program or don’t follow the instructions correctly. This being said, Toxin Rid Detox is one of the best whole body detox programs we have reviewed over the past 4 years. The program has been used successfully by hundreds of users. If you honestly evaluate your THC exposure properly, consider all the essential factors discussed above, follow the Toxin Rid Detox program instructions and our recommendations to the letter – after completing the program you will significantly increase your chances of passing the urine drug test. If you have any question of how to choose and use Toxin Rid detox program, please leave them below and I will endeavor to come back to you within 48 hours. Priyamvada Sharma, PhD, 1 Pratima Murthy,1 and M.M. Srinivas Bharath2, Iran J Psychiatry. 2012 Fall; 7(4): 149–156. PMCID: PMC3570572, PMID: 23408483. In this article I will explain in detail how to choose the right Toxin Rid Detox for you in order to pass your drug test. By choosing the wrong detox program, you might end up failing your drug test. Hello DetoxJohn, I need your help please. I am an everyday weed user. I am a pretty skinny lady. I don’t exercise, but I don’t eat much either because of my health issues. Mostly I vape a good quality oils to help my anxiety issues. Last week I applied for a pretty good job and hopefully will have my first interview in 7-10 days. That company does urine drug tests for all new employees. What detox program you recommend in my case? Can I be ok with a 5 day program? Any advice will be great. Mary.. I am afraid that a 5 day detox program won’t be effective enough in your case as you vape and consume edibles. In your case, I would recommend completing at least a 10 day detox program combined with light aerobic exercise like walking a couple miles a day, drinking plenty of water and using a sauna if your health condition allows that. Regarding your diet, I would recommend eating mostly vegetables and some protein like chicken or fish and avoiding any sugar intake. Please read more details here. Make sure that you have enough time to complete the detox program and don’t forget checking your THC levels with a home urine drug test after finishing this program. If you need more help, don’t hesitate to ask. Hi im not sure on where to purchase the 10 day detox program? Benjamin..Please check all details and where to purchase the 10 day Toxin Rid program here.